Another great product from Gwdihw which has such cute packaging. 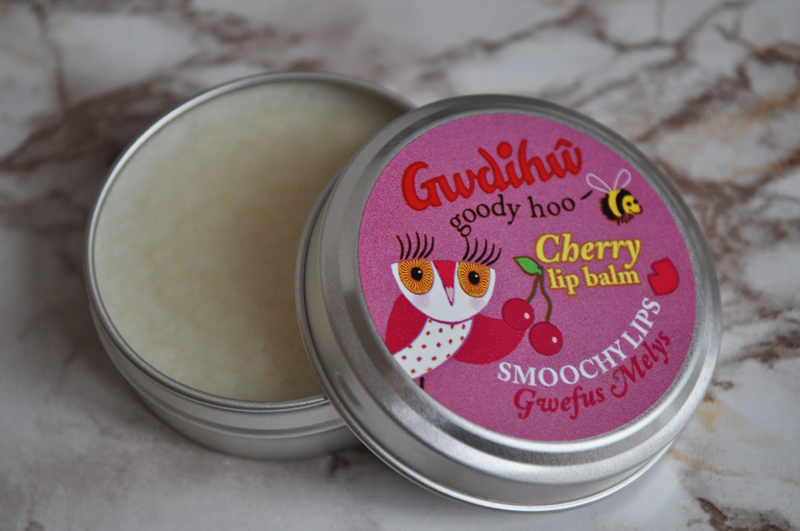 This cherry lip balm* smells AH-mazing! It literally smells like a cherry bakewell and like you should eat it. Although I wouldn't recommend doing so. 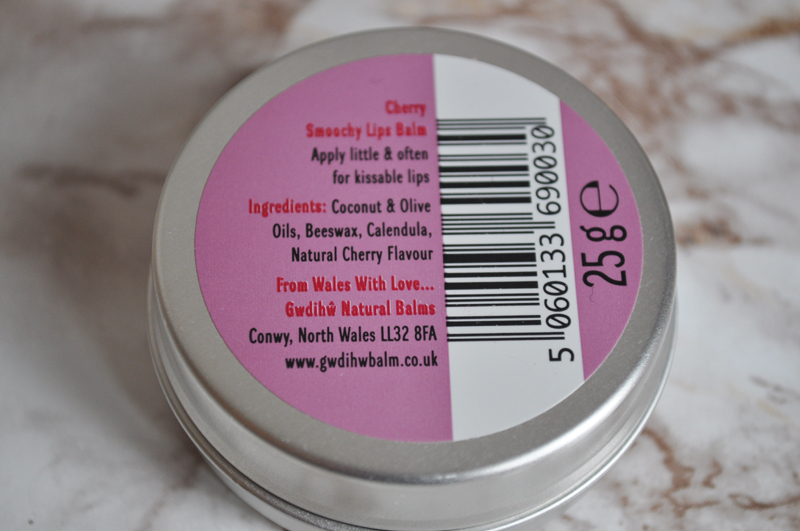 Like the nail balm I reviewed the other month, this lip balm is full of great ingredients that moisturise the skin as well as leaving it looking nice and glossy. My lips have been feeling really chapped for the past few weeks for some reason and this has been working really well to keep them feeling smooth and soft. It's also a great base for lipsticks. This tin of goodness is such a bargain as well. It costs £4.49 for 25g whereas normal lip balms are half the size but the same price. A little bit goes a long way so it'll last a long time too. Besides the fact that this looks good, and appears to be quite a good balm, it just looks so darn cute!! !